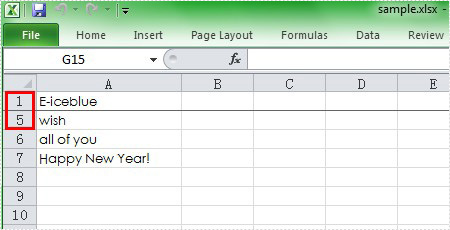 Excel Freeze Panes keeps rows and columns visible while the rest of the worksheet scrolls. Likewise, we need to unfreeze Excel panes due to work needs in some cases. 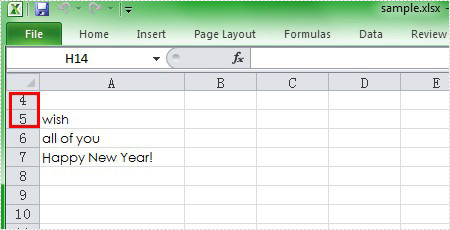 This article aims at introducing the solution to unfreeze the Excel top row in c# and VB.NET through a utility Excel .NET library Spire.XLS. Download the latest Spire.XLS and install it on your machine. Add the Spire.XLS.dll files as reference. Open bin folder and select the three dll files under .NET 4.0. Right click property and select properties in its menu. Set the target framework as .NET 4. Step 1: Create an instance of Spire.XLS.Workbook. Step 2: Load the file base on a specified file path. Step 3: Get the first worksheet. Step 4: Unfreeze the top row. Step 5: Save as the generated file.